Oregon Right to Life PAC’s goal is to elect the strongest and most effective voices for the protection of innocent human life from fertilization to natural death. 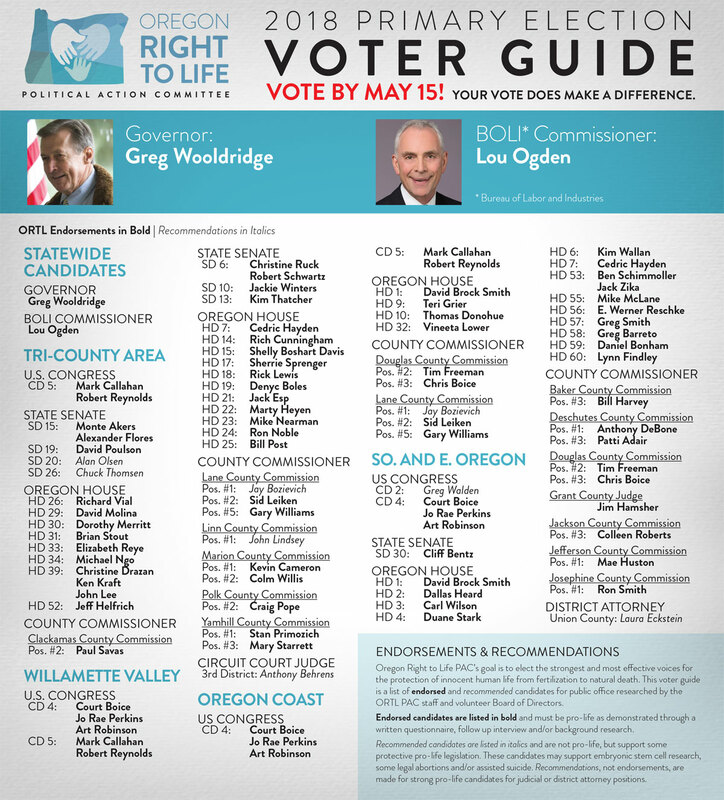 This voter guide is a list of endorsed and recommended candidates for public office researched by the ORTL PAC staff and volunteer Board of Directors. I could not find numerous people and positions on this. I don’t see Supreme Court at all. I am wondering if it is possible to use the same format as the ballot.